Welcome home from Seminar!!! It was wonderful wasn’t it? The best one ever! AND you received the gift of hearing exactly what you needed to hear, exactly when you needed to hear it. If you had lots of consultants attend from your Unit, well, then… You go girl! Not so many? One maybe? Well, that’s okay. She caught what was taught, and off you go on the new Seminar year adventure! The classes were awesome! Such great unit building ideas! Different ways of doing consistency clubs—recognizing sales—wow, you needed to hear that! And off you go! Been to the negative site, yet? Whew, glad that is out of your system, now you can set your course, and there will be NO negativity permitted this year. I am so glad you were able to buy books and the CDs at the vendors, (not to mention the unit prizes)… saves the shipping charges! And they will turn it all around for you! This is truly your year! Munich, here you come! Except. Just a little except… the production is down. Nobody orders in July, because you sucked them dry in June, and there’s nothing much to order in August, except for the new eye stuff (Thank God for that) and everybody is busy getting ready for back to school or last minute vacations. You did remember to tell your unit members to recruit and book and sell when they were at the family reunions, didn’t you? THE BACK TO SCHOOL SALES. There we go! You can run one of those sales and get some extra money and maybe even a class or two on the books because everybody wants a new look for a new school year. Except that your hostesses are not willing to book a class. It’s too hot, too humid, too something… and the plan you wrote down at Seminar is not working. All you need to do is Gold Medal, and your business changes. That’s all there is to it! You have Gold Medaled before, in DIQ, remember? Everybody Gold Medals in DIQ! You were told, again, that you are the best consultant in your unit and you know that is true, and the speed of the leader is the speed of the gang, you can’t follow a parked car, so you are MACH THREE WITH YOUR HAIR ON FIRE! You are a booking machine and a recruiting magnet! You heard this again, over and over… it’s in your notes. PLUS… you are the one who recruits directors! You remember, directors recruit directors! Please, God, send them your way. Has the guilt started yet? The fear that immobilizes you? Are you making new tracking sheets instead of making new contacts? Running out of names? Hostesses? Designing new contests for your consultants? Updating your UnitNet site with new pictures from Seminar? Changing your voice mail? Redoing your newsletter? Sending out different postcards? You did send some postcards from Dallas to your unit members who didn’t attend Seminar didn’t you? Is your nsd planning some new promotion to help you directors out? Did you have a “Power Up Day” to keep this seminar momentum going? Do you have one planned for the Holiday product intro? It’s awfully hard to throw the ball, or row the boat by yourself, isn’t it? Have you noticed that your hot shots have cooled down, and you have a unit of dead reds, or personal use consultants? They obviously don’t get it. Your job is not to revive the dead, but to give birth! Except, there aren’t that many women out there who want what you can offer. Big change. The internet leveled the playing field and women are as likely to find a “negative” site when they are checking this amazing opportunity out as they are to find a “pink” site. What to do with that? Easy, shoot the messengers! These disenfranchised women are just that… negative, lazy and unwilling to do what it takes to be successful. Sour grapes. Bad apples. Full of negativity. Examples of demonic possession. Thank goodness you know how to deflect these objections! Search any UnitNet site, look at your own, for goodness sake, all of the common objections and the responses are listed! Whew. But. There is always a ”but.” Have you noticed it is not as easy as it used to be? Your hostesses are not willing to be hostesses any more? Your models know what happens at meetings, and don’t want to be a model, or be in your portfolio, or have a computer generated make over guide they can print out and take home. The gift certificates are not redeemed, and all of the money you spent on the “Get Pinked” cards is going to be a loss this year, too. You can’t offer as much “bang for your buck” as you used to, because that cuts too deeply into your profit margin. This leaves you with the young girls who are very enthusiastic until they talk to their moms, and then there’s that caller ID thing. So here you are. Post seminar, ready to go, loaded for bear and not only are the bears gone, you can’t even find the forest anymore. If you have been pursuing the dream of nsd for 5 or 10 years, and it’s not any closer, take a look at the numbers. I mean, really, take a look at the numbers. Look at your own areas, and count the directors who come and go. Look at your own units and count the consultants who come and go. This is like Vegas, Baby, and the odds are not in your favor. MKC always wins. The House always wins, and you have been gambling with your life. There was always a catch 22 with having a good June. If I stretched my unit for more sales, it was always quiet in July and August. If I didn’t, we might now make our unit goal. Oh, but then you had to start stirring up interest in the Fall Retreat. Never ending hamster wheel! Use three times per week. That’s expensive. My high-end vitamin c serum costs me less than HALF that! Here ya go! One year supply… $20! $2 per use is ridiculous. A month supply for $24. And way late to the vitamin c game, MK! 1. Buy any fruit or vegetable with a high vitamin C content. 3. Rub it on your face. There! You just saved $23! MK is claiming their vitamin C product is an industry first! H I L A R I O U S. I’ve been using vitamin C products-packaged correctly-for probably 14 years. Do they do ANY research? Do they just say things over and over hoping that people will eventually believe it? The mode of delivery is an industry first, but it is true Directors and Consultants don’t know any better that other brands have had stable vitamin c for YEARS. I challenge them all to do a search on Sephora s site or just Google it to see just how many are out there. What percentage of vitamin C is MK using versus others? What other brands have designed packaging to make it stable? Sales Development is tracking the Top 20 areas and units for “purchased” amounts of squares. Get that? “Purchased”! It doesn’t matter how many are sold, just how many are bought from MK. Fake sales, fake recognition, fake earnings. It starts at the very top in Dallas, and it permeates all the way down to the skin care class where customers are being lied to that it’s a revolutionary product. Um, no…Ill use my vitamin C serum again today, just as I have WELL before the squares’ launch. I remember listening to those fake I stories at seminar. I also remember being mostly ignored by my cold SD and that horrible feeling in the pit of my stomach that this was indeed a cult, mlm and financial scam. At this point my husband and children hated MK and my husband was trying to rescue me from this pyramid scheme. Fortunately he did but the brainwashing, PTSD, missing the fake friendships, the shame, and the guilt took time recovering from. To this day when I drive near the home of someone I recruited for a few days, I shudder. I also feel the occasional guilt where my SD tried to recruit some poor single mom, taking her grocery money. That woman trusted me and was just enjoying the fake free make over at a weekly MK meeting. Instead my SD pounced and recruited her. Thank goodness I was only able to recruit a handful before my conscience caused me to grow physically ill. I was then hospitalized and discarded by my SD. No hospital visits by my so called MK sisters and friends. What a heartless abusive financial deceptive shady direct sales failure. I shudder at how insidiously dangerous this 60 year con has been. OK… I just need to be done with all this. Does anyone know if I can get any money back from sending stuff back if it’s been more than a year? I checked the returning inventory page and didn’t see anything about inventory, just starter kits. Mostly what I have is all the eye shadows and lipsticks. I’m so tired of it and laying awake at night. Please help me get some sleep. You can only return product that you purchased within the last 12 months. Anything older than that is not returnable to MKCorp. Try Ebay, Craigs List, garage sale, or dumpster. The fine print in the consultant agreement has the return policies… assuming your Director gave you your copy. Not all of them do. 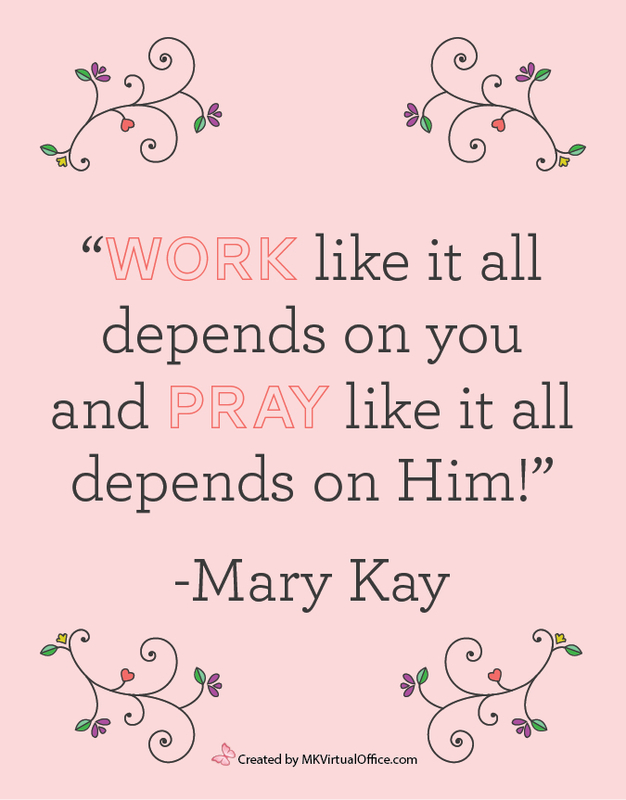 If you didn’t get your copy, you’ll find one here in the Mary Kay documents section. Geez, Suz – you need to give a trigger alert at the beginning of this piece! July and August were always SO depressing as a director. After we got our consultants hyped about going to Seminar, they had no money left for an order. They’d go home all jazzed to find that no one wanted to hold skin care classes or go to a guest night. If they were home at all and not on vacation, they wanted to be hanging out at the pool or doing something fun with the kids before school started. I always felt like I had to show “the speed of the leader,” so instead of enjoying the summer myself, I forced to find somebody – anybody – anywhere – to book. It was exhausting and demoralizing, and ultimately useless. One of the very best things about shedding directorship was being able to enjoy summers and never having to notice whether it was month-end or not. Well said! I hate Mary Kay. “Shedding Directorship”. No better description! I am so RELIEVE, I can live my life without no STRESS. I wonder how many of our Director friends are sweating August month-end right now? 2 tough months creating lots of car co-pays!